Mark Zuckerberg founded Facebook to bring people together and "connect the world." But it appears he isn't connecting that well with his neighbors. The 30 year-old tech billionaire has irritated residents of the San Francisco neighborhood where he and his wife Priscilla Chan are remodeling a $10 million home, according to CNN affiliate KPIX. One gripe: Zuckerberg's people are hogging parking spots. Last year, the construction crew that is working on the six-bedroom "fixer-upper" informed residents of the Dolores Heights neighborhood that workers would block 4 to 5 parking spaces for their equipment. Now one neighbor, Trafton Bean, claims that Zuckerberg is hiring people to hold more of the highly-coveted parking spots. Bean told KPIX that he and his roommates noticed people sitting in parked cars overnight near Zuckerberg's home, which he said was not "exactly kosher." One of Bean's roommates confronted the car sitters, who he said confessed to being hired by Zuckerberg to hold parking spots in addition to the ones already claimed by the workers. 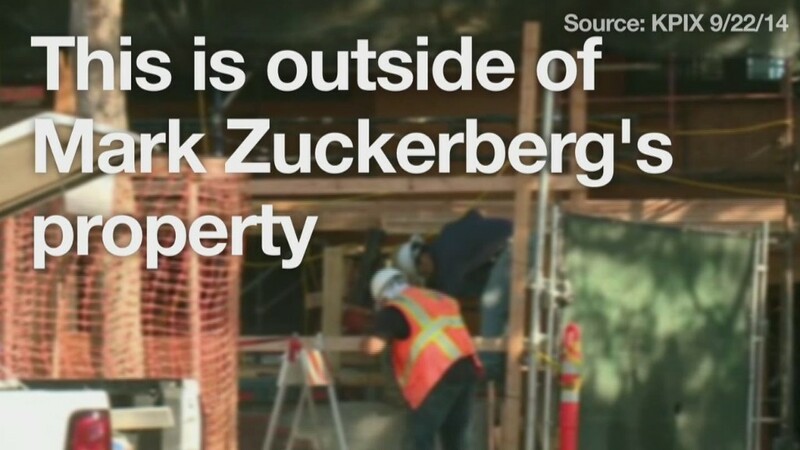 The parking situation is not the only nuisance Zuckerberg's neighbors are upset about. KPIX said many neighbors complain about the "ear-splitting" noise of nearly 50 construction workers running jackhammers and tearing up the sidewalk. The home is being wired with fiber-optic cables so the Zuckerbergs can be fully connected. The property is also equipped with several security cameras, including some across the street, which some residents find intrusive. The renovation is slated to be done in Spring 2015. A Facebook (FB) spokeswoman said the company has no comment on the report.